Ukraine, "A Bridge Too Far", Netanyahu and Jewish Triumphalism – ITEL Radio – 1.31.15 | Inside the Eye - Live! Inside the Eye – Live! for Saturday, January 31, moved back to Riyadh for what should be an extended period of broadcasting live from the capital of Saudia Arabia. Quite a few subjects were expanded upon in this three hour show sans “guests”, the extra time allowing “The Fetch” to expand in added depth as only “The Fetch” can do. Topics of discussion included Superbowl XLIX, government changes in Saudi Arabia, the imploding Neocon mess in Ukraine, and Netanyahu’s display of Jewish triumphalism. 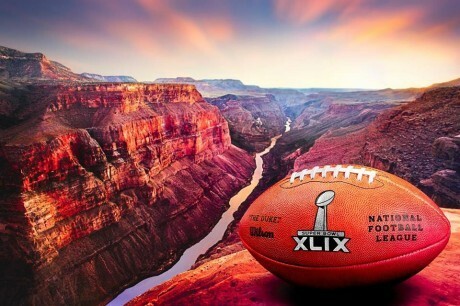 With Superbowl XLIX just a day away, the show began with a light immersion into some of the history and trivial fun that surrounds the “Big Game”. The event is a huge television event, with over 100 million Americans watching annually. Although the Superbowl continues to set seeming annual viewership records with an increase in total viewership over the last 4 years, the Superbowl has not been able to take home the “Bifecta”, or setting a record for both viewership and ratings. That record was set in 1982, where the game between the San Francisco 49’s and the Cincinatti Bengals earned a 49.1 Nielsne ratings and a record 85 million viewers. With the explosion of national and regional programming, plus the lure of social and other online media venues, the Superbowl has been able to continue to break viewership records but not take home a record for both categories. Other interesting bits of trivia: Superbowl 1, played in 1967, was the only Superbowl to not sell out. 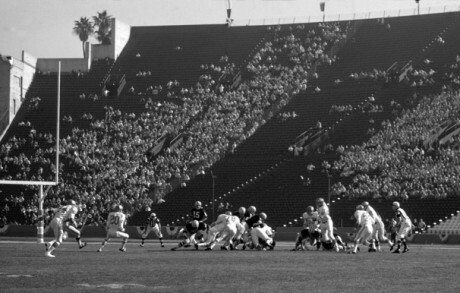 It was 33,000 seats short from filling the 94,000 seat Los Angeles Coliseum. Ticket prices were “an exhorbitant” US$12 per seat, the game was simulcast on two national television stations (NBC and CBS), and local newspapers were educating people how to pirate the television signal. With over 9 million pounds of guacamole expected to be consumed on Superbowl Sunday, the game equals as a massive display of gastronomic gluttony! With Inside the Eye – Live! 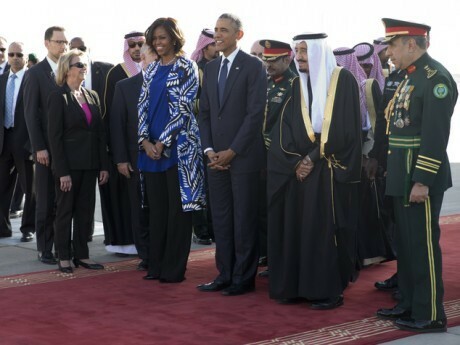 moving to Riyadh, the show as expected shed some light on what is happening inside Riyadh and Saudi Arabia. The Fetch arrived the day before President Obama and the First “Lady” and reported on the nature of security visible along the Presidential motorcade route. King Salman, who succeeded the late King Abdullah just a week before, addressed the nation and announced sweeping changes. One of the more notable changes included the removal of Prince Bandar from his post with the National Security Council, as well as the Chief of Intelligence. 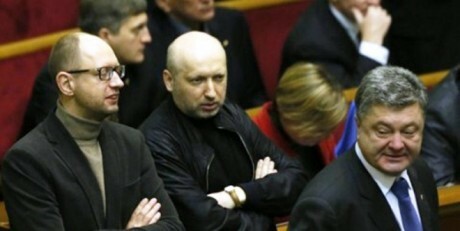 The head of the Promotion for Virtue and Vice (the religious police) and the anti-Corruption committee saw their heads change, among many others. Government employees and pensioners were granted 2 months salary as a bonuses, while stipends were also granted to students. All told, nearly US$20 billion in subsidies were released by King Salman, who tweeted that Saudi’s “deserve more” and asked Saudi’s to “remember him in their prayers”. The Neocon plan for regime change is history: 7 countries in five years. These countries were/are Iraq, Syria, Lebanon, Libya, Somalia, Sudan and Iran. The truth, however, is that intelligence operatives within the State Department and CIA have been in the regime change business for many many decades. The overthrow of Iran’s elected government in 1953 and installing “the Shah” hints at how long State and CIA have been active in the regime change business. Nowadays, regime change includes a media and social media component that result in “color change revolutions”. The Orange Revolution in Ukraine in 2004 did not “stick”, resulting in a democratic change to the government that swayed back to Russian spheres of influence in 2009. Not content to see Ukraine drift out of the grasp of the Jewish Neocons, Ukraine again became a target in 2013/2014 with the violent overthrow of the Yanukovich government. This violent overthrow fooled nobody at the local level, and many of the pro-Russian regions rebelled against the newly installed government in Kiev. What followed was an massive act of repression by the government in Kiev against the populations of Eastern Ukraine, an exercise in brutality that just may become “A Bridge Too Far” for foreign policy regime change factions within the CIA and State Department. The situation in Kiev has become desperate. They are losing the war, they are nearly out of money, there is growing rebellion against the authorities in Kiev, and the finger pointing has started. Entire villages are in revolt against mobilization efforts of the government in Kiev. Indeed, it appears that Ukraine – now Nulandistan – is going very very badly for the Neocons. With nearly 8000 Ukrops surrounded in the town of Debeltseve, a military disaster for the government in Kiev is rapidly approaching. Jewish triumphalism, the running belief in Jewish society in America that Jews run America for the benefit of Jews, has come into display with the recent engineering of Jewish political power to bring Netanyahu to speak to the American Congress without consultation with the President of the United States. 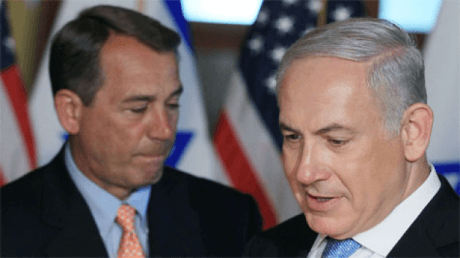 In a stunning slap in the face to the American executive branch and the American people, reports are rolling in that Israel’s US Ambassador was the primary driver in having House Speaker Boehner invite Netanyahu to speak before Congress. Apparently, Israel’s Ambassador to the United States dictates to the United States what are the roles of government officials within the United States. Netanyahu need not speak to the President about a speech before Congress because the Israeli Ambassador is the Ambassador working for Netanyahu, and seeing how Jews run America and the Americans know it, Americans can sulk and whine a bit, but at the end of the day, it is not the business of American officials to be making decisions that affect the security and well being of the Jewish State. America is subjugated to purely Jewish interests. Jewish media personalities were quick to praise House Speaker Boehner. One example, the January 21st show of The Mark Levin Show, Jewish host Levin gushed with praise for House Speaker Boehner. To Jews, the focus should be on “radical Islam”, a phenomena that arguably is constructed and manufactured by Jewish geopolitical strategies – while the real issues to the ills that face America are Jewish control of media and finance.